Made some fabulous meals this week and I was going to start with my favourite of the week but I really can't decide. 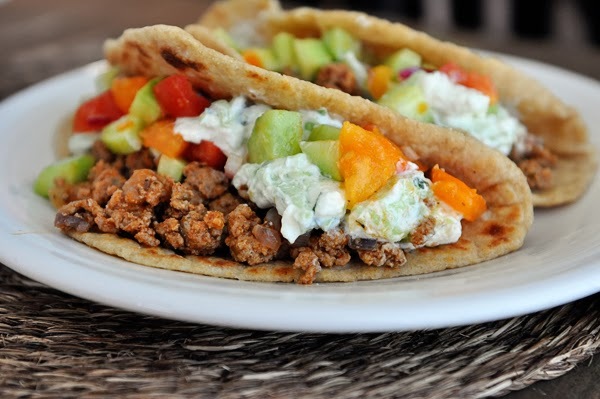 So I randomly picked big fat greek tacos. I am totally making this again, and again, and again. Easy, yummy and the kids liked it. SCORE! This next dish - sweet mustard baked chicken was sooooooo delicious. 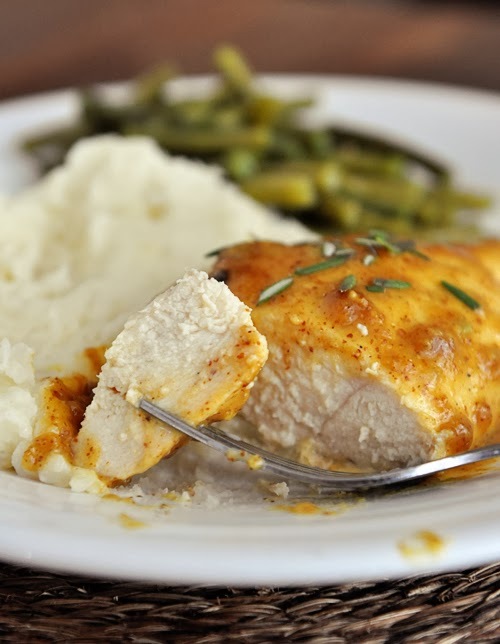 I made it with mashed potatoes and green beans (like in the photo below). Everyone loved it and it will be made again soon. 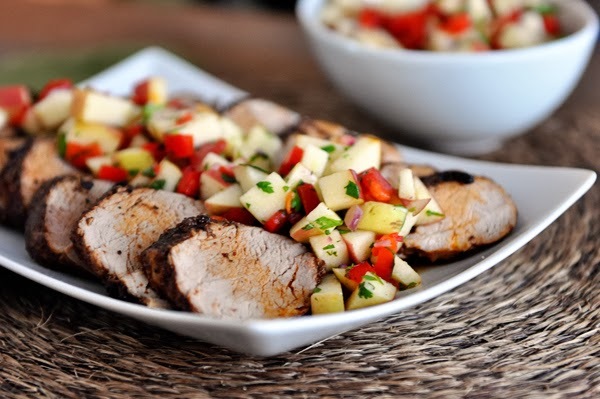 Cinnamon and chili pork tenderloin with fresh apple salsa was a favourite of mine because I love fruit with dinner and the apple salsa that is in this recipe won me over. As I have said before, apples and pork go so well together and this apple salsa was a refreshing change from the usual apples baked with the pork. I used fresh mint instead of cilantro in the salsa (because I had some extra to use up) - so glad I made this change. 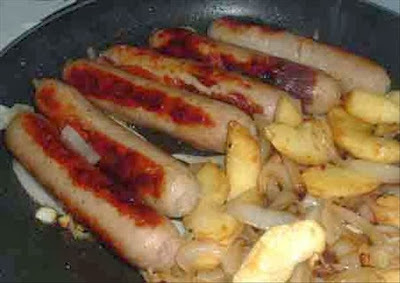 Lastly, since I had a big bag of apples to use up, I tried this bratwurst bake recipe recommended by Jena. Unfortunately, our grocery store was sold out of bratwurst (go figure since I really wanted to try them) so I had to use Italian sausages instead. Still yummy. Kids ate it up too. 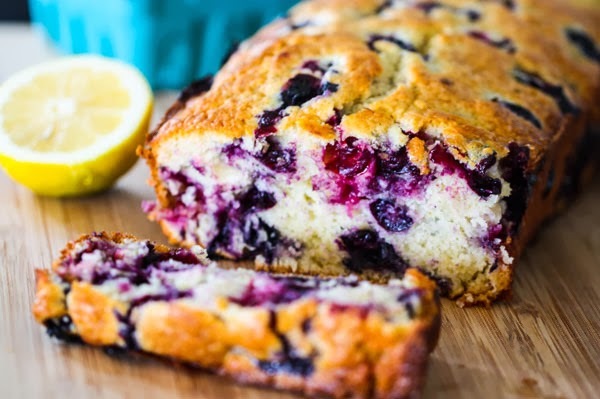 Right now I have a loaf of blueberry bread in the oven as per Simon's request (he spotted it as I was going through my pinterest pins). I have made it before and of course, it is a favourite of Simon's. For an after school snack, I thought I would try this recipe. Not sure what they are called since the link took me to a different recipe. I followed the recipe in the pin. Mine don't look what the pin shows since I don't think it is the same thing but they taste good just the same.